If you are looking to sell gold in San Diego, there are many places from which to choose. Which gold buyer is the best? Well, the answer to that question depends on different factors. But when deciding who is the best gold buyer for you, there are some specific questions that you should be asking. The first question to ask a potential gold buyer in San Diego is how are they weighing the scrap gold, gold jewelry, and other gold gift assets that they buy. Are they weighing these products in grams, or are they weighing them in pennyweights? 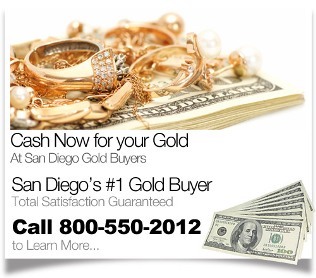 The best gold buyers in San Diego weigh customer gold in grams. The reason for this is because when a gold refinery, jewelry store, or dedicated jewelry buyer weighs products in pennyweights rather than grams, this benefits them rather than you, the gold seller. Whoever you do business with, make sure that they weigh your items in grams (in front of you) and calculate their buying offer on the gram weight of your gold. The next question you want to ask your San Diego gold buyer is how much they are paying for 14 karat or 18 karat gold today. They should tell you in a very simple and straightforward fashion what they are paying per gram for that particular karat weight. Beware of buyers who say what today’s gold price is, not what they are paying per gram. Some buyers deceptively tell customers the price that they are selling gold at, rather than what they are buying it at, in order to lure them into their stores. If the gold that you are looking to sell is set with diamonds and gemstones, then you want to avoid selling it to a San Diego gold refinery who just buys gold to melt it down or at a San Diego gold party, whose buyer doesn’t have the expertise to evaluate the worth of pre-owned diamonds, rubies, sapphires, and other precious gemstones. Ask whichever buyer you are considering doing business with whether they pay extra for diamonds and gemstones. The best San Diego gold buyers always will pay more when the jewelry is set with precious stones that are significantly sized and of high quality. In similar fashion, you want to be especially careful when selling designer gold jewelry. Once again, most buyers at California gold refineries or San Diego gold parties do not know how to assess the extra worth of branded jewelry. You want to ask the gold buyer if they pay extra for high branded jewelry and to name a few examples of these jewelry brands. This actually is a good question to ask even if you aren’t actually selling designer gold jewelry, because a positive answer will help show you the gold buyer’s level of professionalism. In addition, you might have an old vintage piece of gold jewelry that doesn’t look branded to you but could be worth a premium price. 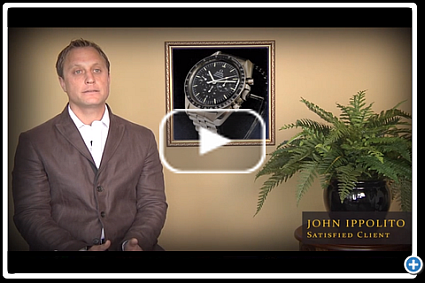 When choosing a San Diego gold buyer, you also want to know something about their history. So, ask them how long they have been in the gold buying business and what is their background in the fine jewelry industry. There are a lot of gold scams and fly-by-night gold buying businesses that are looking to make a quick buck preying on uninformed folks who need to sell gold fast to cover some bills. The gold jewelry buyer you work with should certainly be in the gold buying business for over a year and have well-documented evidence of working in the jewelry industry for five or more years. In other words, selling your gold for the best price in San Diego means selling it to a professional buyer with a provable track record. Speaking of track records, this leads us to another important aspect of choosing the best gold buyer. Be sure to ask whether the company has any complaints filed against it with the San Diego Better Business Bureau. Your gold buyer should have either no complaints filed against it or no more than a couple complaints due to misunderstandings which were successfully resolved and documented by the BBB. If the buyer has multiple unresolved complaints filed against it, this is a red flag. Lastly, if you are going to sell gold in San Diego, ask the dedicated gold jewelry buyer, gold refinery, or jewelry store whether they are going to pay you cash for your gold or by check. For most transactions, you should be paid cash on the spot for your merchandise. But if you are selling a large amount of gold, it is okay to accept a cashier’s check, as long as the buyer is operating out of a bricks and mortar store in San Diego, and the business has been in operation for over a year.